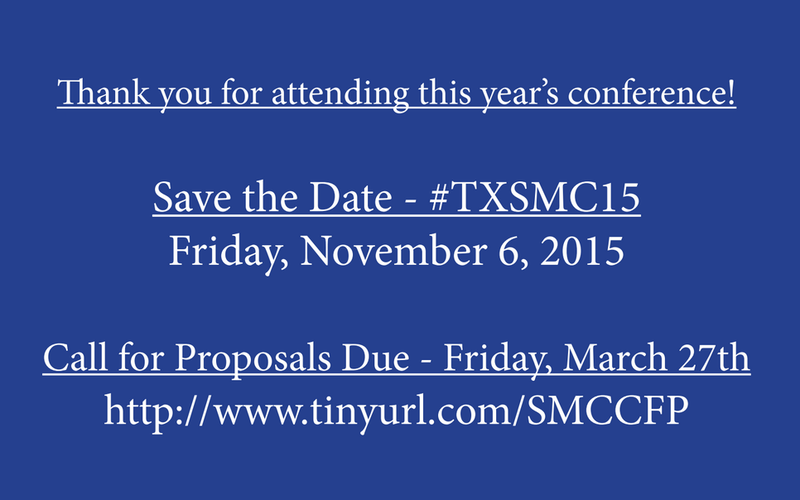 The Texas Social Media Research Institute (@TSMRI): 4th Annual Social Media Conference - Conference Book, Video Highlights, and Save the Date! 4th Annual Social Media Conference - Conference Book, Video Highlights, and Save the Date! We had such a great time at the 2014 Social Media Conference! We had 115 attendees from non-profits, cooperations, small businesses, higher education institutions, K-12 school districts, and many entrepreneurs! We wanted to provide a few highlights from the conference! 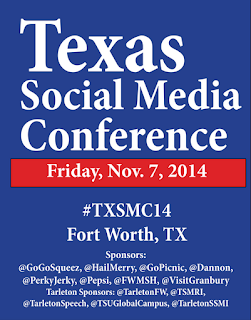 Here's a YouTube recap of #TXSMC14. 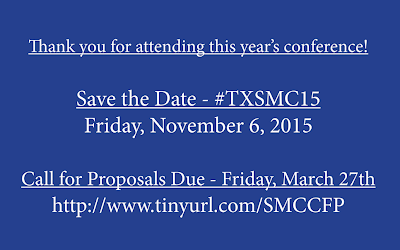 Remember to add #TXSMC14 to your calendar!